Helen Woodward Animal Center pets come from a variety of sources, such as the transfer of animals from public shelters to relieve overcrowding, working with local dog and cat rescues, as well as owner surrender. Every animal in our pet adoption program has received a medical examination, spay or neuter surgery, vaccinations, tons of TLC and a microchip. Our goal is to adopt our pets into loving and permanent homes. Helen Woodward Animal Center Adoption Counselors are here to help you choose a pet who will be your perfect match for life. If you’re considering pet adoption, please visit us today! Download the animal adoption application and fill it out before you arrive! Meet Our Pet of the Week! Rancho Santa Fe, Calif. (April 22, 2019) – A big heart and a zest for life have driven Charity’s quest to break out of his shell and show his true self. 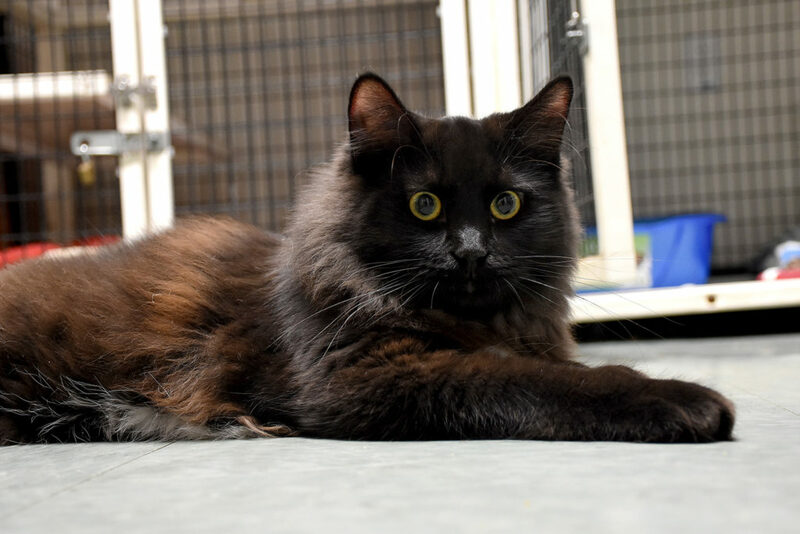 Charity is 9-month-old domestic long hair blend cat who weighs about 6 lbs. His favorite time of day is playtime when he gets to chase all kinds of fun toys. He’s known for his athletic ability and adorable big round eyes. He waiting to meet you at Helen Woodward Animal Center. His adoption fee is $118. He has been altered and is up-to-date on all of his vaccinations. As with all pets adopted from Helen Woodward Animal Center, he is micro-chipped for identification. Helen Woodward Animal Center offers a “Spay…Don’t Litter” program for people looking to surrender litters of puppies or kittens. The Center will cover the cost of having the mother spayed at a participating veterinarian. Please call the Adoptions front desk at 858-756-4117 ext.1 to set up an appointment with an Adoption Counselor.